India Landlord & Tenant. 100% Guarantee. 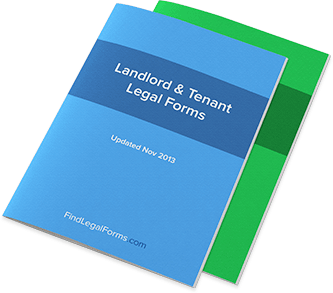 Landlords and Tenants forms, including leases, applications, notices, commercial lease agreements, landlord forms, tenant complaint forms and more. Apartment Lease Agreement (India) This Apartment Lease Agreement is designed for use in India. This legal form is available for immediate download. Month-to-Month Lease (India) This Month-to-Month Lease Agreement is designed for use in India. This legal form is available for immediate download. Commercial Property Lease Agreement - India Commercial Property Lease Agreement for use in India. Perpetual Lease of Land - India Perpetual Lease of Land for use in India. Residential Lease - India Residential Lease for use in India. Residential Rental Application (India) A Residential Rental Application allows a landlord to obtain information from prospective tenants interested in renting a residential property. Service Agreement - Mover (India) Moving Services Agreement for use in India. Commercial Lease Application (India) This Commercial Lease Application is designed for use in India. This form is available for immediate download. Commercial Lease Extension Agreement (India) This Commercial Lease Extension Agreement is designed for use in India. This form is available for immediate download. Commercial Lease Termination Agreement (India) This Commercial Lease Termination Agreement is designed for use in India. This legal form is available for immediate download. Commercial Sublease Agreement (India) This Commercial Sublease Agreement is designed for use in India. This form is available for immediate download. Commercial Sublease Agreement - Partial (India) This Commercial Sublease Agreement - Partial Premises is designed for use in India. This form is available for immediate download. Commercial Sublease Amendment Agreement (India) This Commercial Sublease Amendment Agreement is created for use in India and available for immediate download. Landlord’s Consent to Commercial Sublease (India) This Landlord Consent to Commercial Sublease is designed for use in India. This form is available for immediate download. Office Lease Agreement - Unfurnished (India) This Office Lease Agreement -- Unfurnished is designed for use in India. This form is available for immediate download. Salon Station Lease Agreement (India) This Salon Station Lease Agreement is designed for use in India. This form is available for immediate download. Amendment to Lease (India) This Amendment of Lease is designed for use in India. This legal form is available for immediate download. Lease Extension Agreement (India) This Lease Extension Agreement is created for use in India. This legal form is available for immediate download. Lease Termination Agreement (India) This Lease Termination Agreement is designed for use in India. This legal form is available for immediate download. Notice To Quit For Nonpayment of Rent or Other Breach (India) This Notice to Quit for Non-Payment of Rent or Other Breach is designed for use in India. This form is available for immediate download. Notice of Termination of Month-to-Month Lease (India) This Notice of Termination of Month-to-Month Lease is designed for use in India. This legal form is available for immediate download. Apartment Lease Agreements - Furnished (India) This Apartment Lease Agreement - Furnished is designed for use in India. This legal form is available for immediate download. Move-In / Move-Out Inspection Checklist (India) This Premises Move-In / Move-Out Inspection Checklist is designed for use in India. This form is available for immediate download. Residential Sublease Agreements (India) This Sublease Agreement is designed for use in India. This legal form is available for immediate download. Room Lease Agreement (India) This Room Lease Agreement -- Unfurnished is designed for use in India. This form is available for immediate download. Roommate Agreement (India) This Roommate Agreement is designed for use in India. This legal form is available for immediate download. Vacation Property Rental Agreement (India) This Vacation Property Rental Agreement is designed for use in India. This legal form is available for immediate download. Security Deposit Demand Letter (India) This Security Deposit Demand Letter is designed for use in India. This form is available for immediate download. Storage Lease Agreement - Fixed Term (India) This Storage Lease Agreement - Fixed Term is designed for use in India. This legal form is available for immediate download. Storage Lease Agreement - Month to Month (India) This Storage Lease Agreement - Month to Month is created for use in India. This legal form is available for immediate download. Warehouse Lease Agreement (India) This Warehouse Lease Agreement is designed for use in India. This legal form is available for immediate download.